HOT STAMPING FOILS AND LAMINATES FOR COMMERCIAL AND SECURITY APPLICATIONS. WORLD CLASS SERVICE TO THE INDUSTRY. PRODUCTS TO OUR CUSTOMERS WHEN THEY NEED IT. CONTINUOUSLY IMPROVE OUR OPERATIONS AND CUSTOMER SATISFACTION. 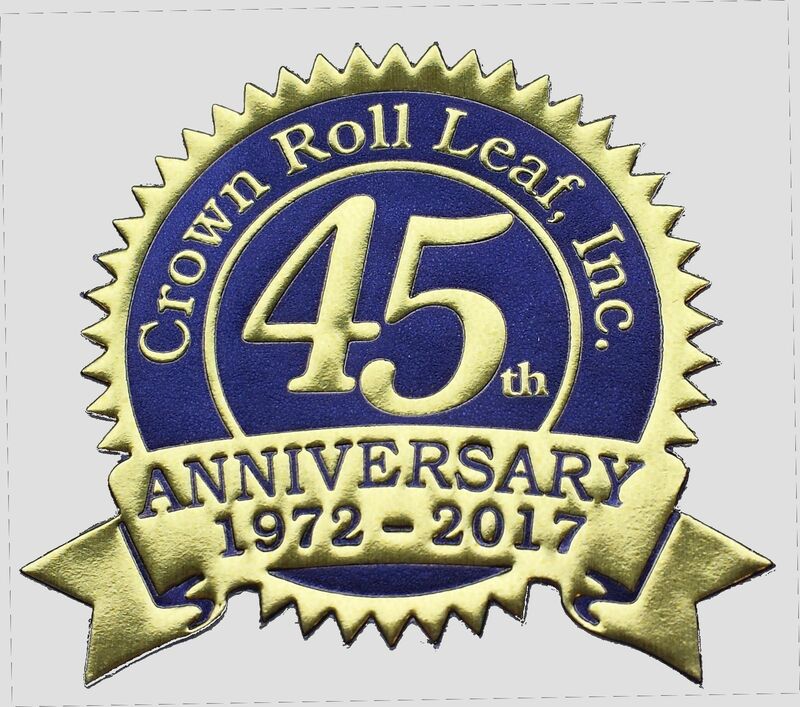 With thousands of products in inventory, Crown Roll Leaf, Inc. is your single source convenience for holograms, holographic diffraction gratings and hot stamping foils. Crown`s 150,000 sq.ft. headquarters and manufacturing facility on Illinois Avenue in Paterson, NJ produces millions of linear feet of foil products each month.